One major firm has formed an alliance with a legal start up; a New York lawyer has been sentenced to prison on fraud charges and one expert calls for more flexible lawyering. Norton Rose Fulbright has announced it has teamed up with legal start-up LawPath, in order to be able to offer services to emerging small businesses at cheaper rates. The alliance will now offer clients a subscription to LawPath’s online legal document centre as well as a senior Norton Rose Fulbright lawyer. 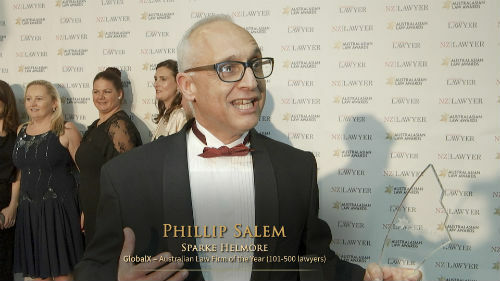 “There is no question that all major law firms are thinking about what the legal industry will look like in five to 10 years, and what that means for their businesses,” Norton Rose Fulbright managing partner in Australia Wayne Spanner said. A New York lawyer has been sentenced to six months in prison after he helped a client lie to lenders as part of a scheme to by Maxim Magazine using stolen money. The lawyer was to three years of supervised release after his prison term and ordered to pay $3.1m in restitution. Australian firms are trailing behind the UK in terms of NewLaw development, with many UK salary surveys now offering a separate section for contract lawyers. Crowd & Co founder Jarred Hardman said as Australian firms struggle to keep staff fully utilised, flexible lawyering will keep firms competitive. “Within the legal community, the concept of being a contract lawyer is actually a chosen career path now; it’s not looked down upon as though they are second-rate lawyers,” Hardman said.